Twilight for Gladys Bentley is shirlette’s debut solo album and imagines a present-day Gladys Bentley. Bentley was a ‘bulldagger’ 1920′s blues singer whose renegade spirit and brash performance has inspired shirlette toward her own independence. 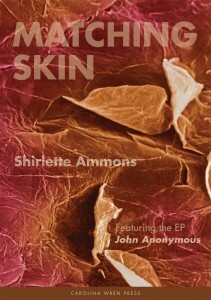 Shirlette & The Dynamite Brother is independent rock ‘n roll at its soulful best. They have merged in-depth songwriting with seasoned rhythm and blues to create an album that thumps with the intensity of Zepplin and The Black Keys and investigates the heart with lyrical prowess akin to Lauryn Hill. Featured guests include Justin Robinson (of the Grammy-winning Carolina Chocolate Drops), Kelly Crisp (The Rosebuds) Purple St. James (of the Grammy-nominated Foreign Exchange), and many others. This unique collaboration spans the scope of love in the 21st century while ushering us back to the days of mid and up-tempo, psychedelic, blue-light classics; reflective yet funky enough to rock your body and ignite your searching soul. MOSADI MUSIC’s debut album released in October 2006 entitled, THE WINDOW is a cohesive mix of variant musical styles featuring guest appearances by Yahzarah (PURPLE ST. JAMES), Phonte Coleman (The Foreign Exchange, Little Brother), Supastition, Matt McCaughan (Portastatic, Bon Iver), and many more.